Jenny demonstrates how to make a beautiful Courtship Quilt using 10 inch squares of precut fabric (layer cakes). She chose Eclectic Elements by Tim Holtz for Westminster Fibers. 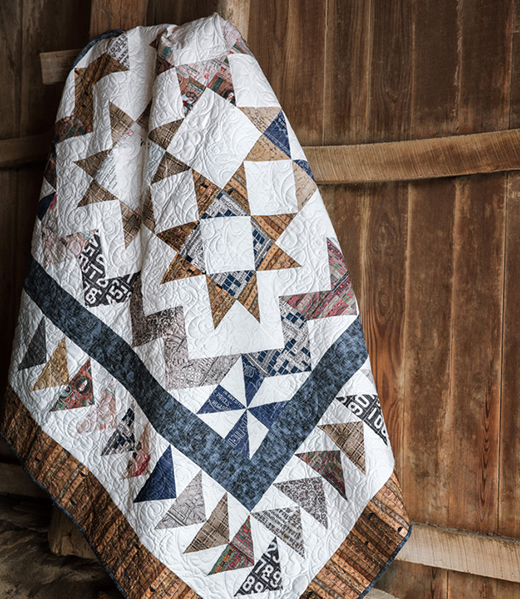 Learn the "Easy 8" method of making half square triangles and how to transform those 1/2 square triangles into inwheels, chevrons, stars, and flying geese!